Since 1936 Quinebarge has been the home to thousands and thousands of campers. 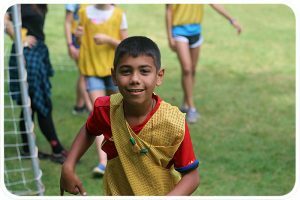 One of the biggest decisions a parent can make when sending their camper to a summer camp is do i send them to a competitive sports camp or a traditional camp. Luckily for you , Quinebarge has the best of both of those camps in one. You will play a ton of sports with some teaching from our trained staff but also make long lasting friendships. We hear that our trained staff and our tennis program Quinebarge one of the best traditional tennis camps in New England. 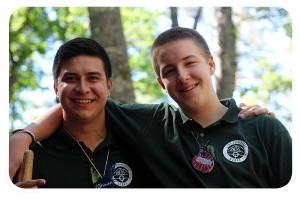 One of the best qualities of our sports program at Quinebarge are the Counselors. Quinebarge Sports Counselors come from all around the world to teach sports. Most of the time our counselors are college athletes at their perspective colleges. 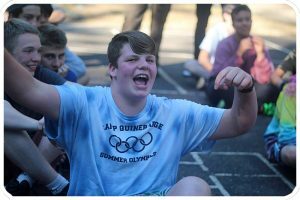 All our counselors know that winning is not everything at Quinebarge it is more important for our campers to grow and to have fun at each activity. A hidden gem at Camp Quinebarge is our tennis courts. Both full sized courts are made of clay and are shaded by surrounding trees. The courts are truly a tennis players paradise. Our trained staff are usually college aged tennis athletes at their perspective colleges where they are trained in all levels of tennis. Whether you are a beginner and have never picked up a racket or the best on your highschool, Quinebarge ahs got you covered.